Experimental microdosimetry deals with the measurement of charged particle energy deposition in tissue equivalent volumes, ranging in size from nanometres to micrometres. Microdosimetry is employed to improve our understanding of the relationship between radiation energy deposition, the resulting biological effects, and the appropriate quantities to be used in characterizing and quantifying radiation quality. Although many reviews and contributions to the field have been published over the past fifty years, this new book is the first to provide a single, up to date, and easily accessible account of experimental microdosimetry. 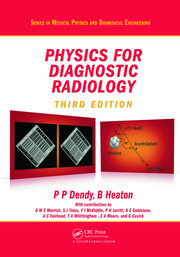 This book is designed to be used in medical, radiation, and health physics courses and by Master’s and PhD students. In addition to serving as an introductory text to the field for graduate students, this book will also be of interest as a teaching and reference resource for graduate supervisors and established researchers. Drs. Lennart Lindborg and Anthony Waker have spent a life-time career in experimental microdosimetry research in academic, industrial and regulatory environments and have observed the development of the field from its early days as a recognized discipline; they bring to this book particular knowledge and experience in the design, construction, operation and use of tissue equivalent gas ionization counters and chambers. Microdosimetry measurements in radiation biology and radiation therapy. "This book written by two practitioners and outstanding experts on microdosimetry gives a highly valuable and more than timely update on this still very active field of research. 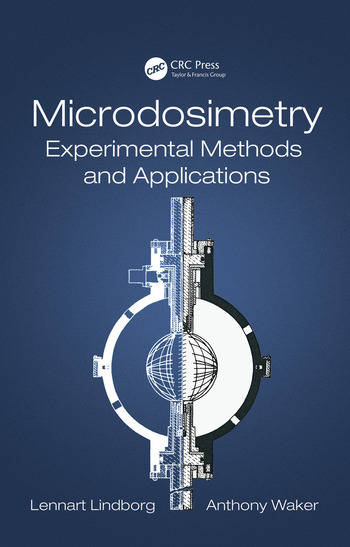 After a concise and very didactical introduction into microdosimetric quantities, the book gives a comprehensive overview of experimental microdosimetry techniques, including recent developments in solid-state detectors. This is followed by an in-depth discussion on the challenges involved in obtaining microdosimetric spectra from microdosimetric measurements. The second half of the book is dedicated to the use of microdosimetry in applications in radiation biology and radiation protection. Here a full outline is given of the different approaches that have been taken in the last decades to provide measurable radiation quantities linked to the biological effects of radiation and the different effectiveness of different radiation qualities. 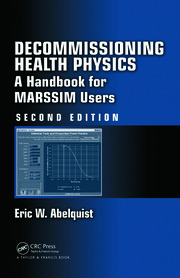 In summary, this book gives an excellent up-to-date overview on microdosimetry that will, beyond doubt, benefit students as well as more senior researchers in the field." "An excellent textbook in microdosimetry for both students and experts, Microdosimetry: Experimental Methods and Applications explores the fundamentals of the field, core microdosimetric theory, and includes detailed descriptions of microdosimetric radiation detectors, signal processing system, and data analysis and interpretation…Chapters on applications in radiation biology, radiation therapy, and radiation protection will serve as invaluable practical guides to radiation and health physicists." "This book is written by two world-renowned experts who have, throughout their professional careers, made significant contributions in the development of microdosimetric counters and in applying them in the measurements of various fields of ionizing radiation of different qualities. 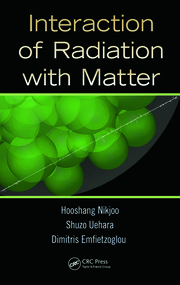 Not only will researchers active in the field of microdosimetry appreciate the content of this book, but also students entering this topical and important interdisciplinary field. This text brings together and reviews results collected over the last few decades in the areas of radiation protection, health physics, radiotherapy, radiobiology and environmental studies. The introductory chapters are perfectly suited for students as they begin their adventure with radiation science. The authors have achieved what is expected from any good textbook – to use simple examples and to show step-by-step how to understand and calculate microdosimetric quantities and relationships. Medical physicists, in particular those active in particle therapy, who are frequently exposed to professional jargon, such as "LET effects" or "LET dependence", will also find this book to be very instructive."